"Don't mix spirits with spirits." While there are several unique haunted places in Missouri, the Lemp Mansion is considered to be one of the most popular. In the year of 1980, this particular mansion was named as “One of the Ten Most Haunted Places in America” by Life Magazine. Located just a short span from the famous Mississippi River, this structure has a story that it wants to share with the living. However, it is not the building itself that wants to tell that story. The souls that are seemingly attached to this structure and the grounds that it rests upon wants to reach out to the living and share the details of this story. In this guide on haunted lodges, you will learn many facts pertaining to the Lemp Mansion – one of the most haunted places in Missouri. In the year of 1838, a man by the name of John Adam Lemp stepped into St. Louis for the very first time. He was an immigrant that originated from a city in Germany called Eschwege. The “Gateway” was considered to be a popular location for immigrants during the 19th Century. Lemp had ambition. He had goals. He was ready to make a brand new start in the United States. His goal was to work as a grocer as he realized that food was a high demand item and he knew that those that kept a high supply were the most successful. Unfortunately, in a location where several grocers worked, he had to have a unique edge that allowed him to stay a step ahead of his competitors. That edge he had. He was able to create lager beer and provide it to his customers. He learned the trade from his father. These lessons proved to bring him a lot of success in the years to come. As he focused on creating the alcoholic beverage, he discovered that it was a product that was in high demand among the Americans. In the year of 1840, he elected to close down the grocery store that he had and create a brewery. He found that the conditions in the area he was working in was perfect for creating the lager beer. John Adam Lemp succeeded at every goal that he made for himself. As a matter of fact, he was often hailed as an overnight success. However, he did not realize that eventually he would be included in a story regarding one of the most haunted places in Missouri – the Lemp Mansion. He enjoyed life and created a large amount of wealth. As a matter of fact, when Mr. Lemp passed away, it was determined that he was a millionaire. When John Adam Lemp passed away, his son took over the brewery. His son’s name was William J. Lemp. William was able to further increase the success of the business that his father built during his lifetime. As a matter of fact, by the time that 1864 rolled around, he was able to open a beer brewing plant. As time progressed, the size of the plant increased. The demand assisted in the money that it took to increase the size of the plant. Eventually, it grew so large that it was able to successfully fill five blocks within the city. By 1870, the Lemp family had acquired a large fortune and was highly respected in their position. In the year of 1892, William went through the process of incorporation and the company was then named “William J. Lemp Brewing Co.”. Just five short years later, William’s daughter, Hilda, got married to a man by the name of Gustav Pabst. This individual was part of the family that owned the company known as the “Milwaukee Brewing”. Little did the family know that this would mark the end of a life full of happiness and luxury. In the year of 1901, William and his family faced quite a tragedy. His son, Frederick, passed away in a mysterious manner. Not only was this son the one that had been designated as heir to the company, but it is rumored that he was also William’s favorite son. William immediately went into a deep depression. In the year of 1904, William could no longer cope with the grief that he bore and tragically ended his life by shooting himself in the head. It is believed that these two events play a large role in the fact that the Lemp Mansion is considered to be one of the most haunted places in Missouri. In the year of 1919, Prohibition started. The beer brewing plant had started to spiral downhill a couple of years prior to this important time in history. By the time that the Prohibition went into effect, the plant that William had worked so hard to open and maintain had to shut its doors permanently. Just one short year later, William’s sister elected to take her own life. She was known in the community as being the single wealthiest heiress in the entire region of St. Louis Missouri, but apparently, money could not buy her happiness. Two years following her tragic demise, William’s son, William J. Lemp Jr. had to sell the factory. Now covering a span of ten city blocks, it was estimated to be worth near seven million dollars. Unfortunately, he got less than six hundred thousand dollars for the plant from a company identified as the “International Shoe Co.”. Shortly after making the transaction, William Jr. also committed suicide. William Jr. had a son by the name of William Lemp III. He handled most of the family affairs after his father killed himself. Unfortunately, in the year of 1943, he passed away due to complications from a heart attack. The Lemp Mansion was then transferred to the brother of William Jr. The new owner’s name was Charles Lemp. Unfortunately, his life was not at all fulfilling. He was often described as being depressed and bitter towards life, and others that he came in contact with. He spent years suffering from grief. Finally, Charles gave in, took a gun, and shot and killed himself. His brother was the person to find him. His name was Edwin Lemp. Edwin did not follow in the footsteps of those that came before him. He lived until he was ninety years old and died of causes that were considered to be natural in the year of 1970. Constructed during the early part of the 1860s, the Lemp Mansion was intended to be a permanent residence for William J. Lemp. He also used the structure as an office for his business. It was a beautifully large and amazing structure that had a total of thirty three rooms. Since Lemp had acquired quite a bit of fortune with his business, he transformed it into a home that exhibited an elegant Victorian architecture. Little did anyone know that this beautifully designed mansion would eventually become known as one of the most haunted places in Missouri. The Lemp Mansion would eventually earn quite a reputation among many as being one of the most popular real haunted houses in the United States. 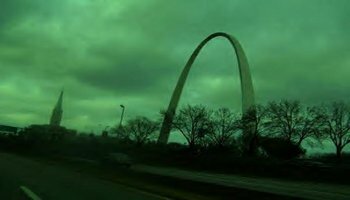 Additionally, it gained the reputation of being one of the most haunted places in Missouri. In the room that is often referred to as the “Atrium Room”, many visitors have said that they have heard unusual sounds. The main sound reported in this area resembles the sound of what appears to be a bird singing. Many believe that phantom birds do, in fact, continue to fly about in this section of the Lemp Mansion. Due to this, it is considered to be one of the most haunted places in Missouri. There are several dining areas located in the haunted mansion. There have been many different reports that a spirit has been seen sitting among these areas. In addition to this, many eye witness claims account to the fact that there is an apparition that is nothing more than mist in these areas. Unexplained phenomenons such as unusual smells, odd breezes, and even sounds have been reported in the halls of this structure. Additionally, alcohol is often smelled and no known cause has been established for this. These experiences have contributed to the Lemp Mansion being considered one of the most haunted places in Missouri. Many people that work and/or visit the Lemp Mansion believe that the spirits of those that ended their life in or around the structure are linked to the haunted house. Many unusual occurrences such as the sound of air swooshing by, voices, and items being moved around the Lemp Mansion assist in establishing credibility that this is one of the most haunted places in Missouri. In addition to this, several guests have heard a dog barking near them only to find nothing. It is believed that this is a spirit of a dog that was shot before its owner committed suicide. Is the Lemp Mansion one of the most haunted places in Missouri? It appears to be just that, however, until further evidence is gathered, this is considered to be one of the top greatest unsolved mysteries of the paranormal world. Get the directions, view photos, and read the reviews and traveler tips for the Lemp Mansion.